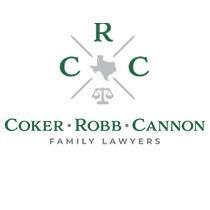 CokerLegal in Denton, Texas, is committed to providing its clients with compassionate, quality divorce and family law services. We are a well-established community practice whose legal team is well versed in the division of marital property, child support, post-divorce modifications and adoptions. Our attorneys and staff will always treat your case with the respect and care it deserves. Unlike many other law firms, we pride ourselves on being local. We know the courts in your community and are familiar with area lawyers and judges. This gives us unique insight into the path your legal matter may take, and it allows us to more accurately analyze the facts of your case. All of our attorneys are well regarded in the community and can be counted on to deliver honest, straightforward advice. We make it a point to always return your phone calls and answer your e-mails, so that you will never be left in the dark about the status of your case. We strive to make sure you have the information necessary to make educated legal decisions that will benefit both you and your family. At CokerLegal, you are our number one priority. No matter how heated or complex your situation, our lawyers have the skills and tools necessary to assist you in achieving an efficient, dignified resolution. Credit cards are accepted for your convenience.